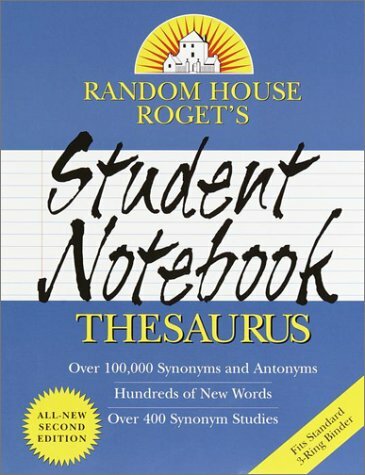 Amazon.com description: Product Description: In an all-new second edition, Random House Roget's Student Notebook Thesaurus includes the most current vocabulary for 2001. Plus, it convenient 3-hole punched format makes it the perfect addition to any student's three-ring binder. With Helen Keller | from Random House Inc (July 1, 2001); titled "Random House Roget's Student Notebook Thesaurus"